Yesterday, me and a friend paid a visit to the local flea market and I found ...guess what?? When I brought them home and started sorting, I realized that this were from a company called Mez. I've never heard of it before. Have you? A little bit of google search revealed that Mez is infact Anchor. MEZ was a German firm that had a silk weaving business that was taken over in the 1930s by J&P Coats, and is now Coats MEZ GmbH; the Anchor trade mark also belongs to Coats. 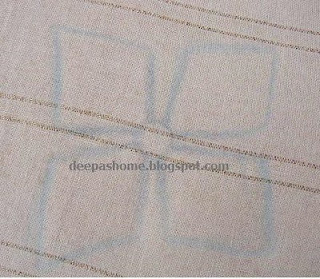 So, with the company's identity established, I tried to identify the threads. Here are some pics. In case you're familiar with the threads please let me know. The label on the white says Matt Stickgarn (Broder Mat) Size(?) 3. I assume that this is the Coton a broder. The blue looks similar and I guess the red belongs to this group. My first thought was these look like wool. Please correct me if I am wrong. The tag here said "Hakelkunstseide". When translated, it means Crochet silks.I assume these are Rayon threads. I'll have to try it in Brazilian embroidery. There was one full skein with the tags clearly visible and it said Perl garn 5. I added the others to this set based on the thickness. I have absolutely no idea what these are for. The translation says - four fold embroidery thread. They are the thinnest in the lot and looks like crochet thread. Could this be Perl Cotton 12? Has anyone among you used this thread before? There are still some more bits and pieces belonging to the above groups and also a bunch of Mez stranded floss . 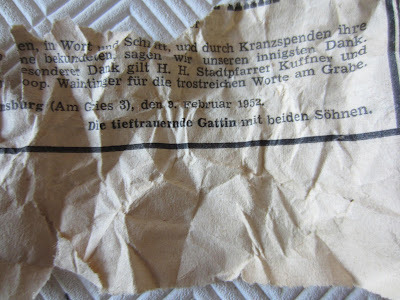 The lady who sold this had wound several of them on bits of paper and on one such piece I found the date February 1952!! That's old!! Would you use so old threads in your projects? 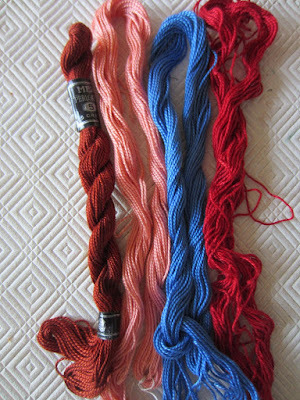 On the embroidery front, I am stitching with the Boucle yarn on my Brazilian embroidery piece..Pictures in the next post. Looks like you found a treasure trove! I'd definitely use these - I'm still using some embroidery floss that was once my grandma's and she died in the early 1960's. It's an interesting array of threads. Surely you will use them sometime in the future. I'm going to check back to see if any of your readers recognize them. The last ones look like what I think of as coton a broder - as you say they may be crochet cottons, although I think the fact they're on a hank suggests not. The middle ones, I have no idea, but the first ones, if the thread is soft and matte and "lofty", may be Soft Embroidery Cotton, which was very fashionable about thirty years ago, and is much harder to find these days. 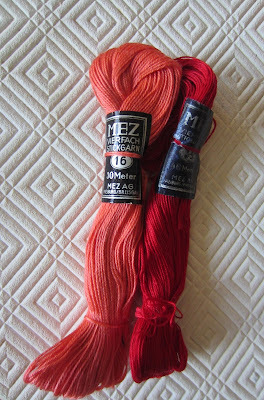 I would happily use these threads, but it would be worth checking colourfastness if you are planning to wash what you've made. 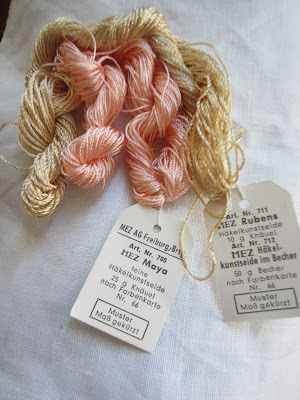 Such a treasure, enjoy stitching with these threads! I think I would use them after trying them on a doodlecloth. what a find though not ure what you have there, like Rachel agree wwith the 2 she identified but the perle 5 does not look thick enough. If the threads do not break when you give them a good tug they should be fine to use.Maybe you could email Coats and they might give you more info re them. I would definitely stitch with them! I have lots of cottons that have been passed on to me ... I don't know their age, but some are on very old wooden cotton reels, really small reels some of them too! As Annet says, I would test them on a doodle cloth, and see how they wash and dry before using them on any special project! 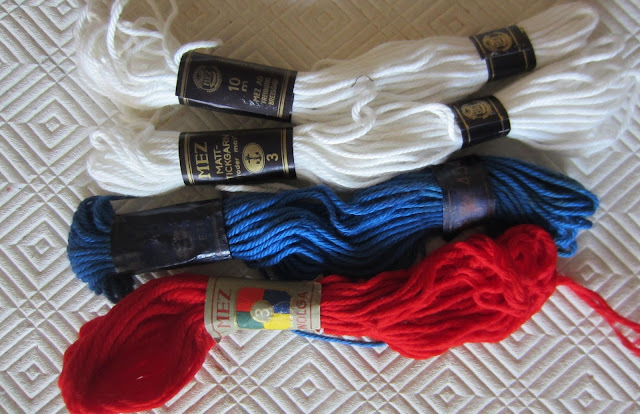 I have some threads that look similar to the ones you called woollen ... mine are cotton though .... and I've only used them for crochet .... didn't try washing them as they were either Anchor or DMC, not sure which. I will be back to see if anyone knows more about your threads! Can u please tell me the place you got these threads.Is it in bangalore?